It’s a fact that currently, most American retirement accounts are underfunded. Social Security alone doesn’t provide enough income to sustain a comfortable retirement, and many seniors are concerned about making ends meet. Financial planners are advising more and more retirees to open up their options and consider every financial tool available to them. To the right borrower, a reverse mortgage can transform a retirement plan from stretched tight to relaxed and comfortable. 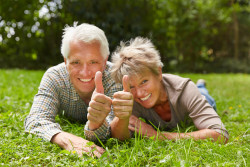 There are many Pros to a reverse mortgage. Simply put, a reverse mortgage is a home loan that is designed to provide a cash flow to homeowners, one of whom must be age 62 or older, using the equity built up in their homes. The dollar amount depends upon the age of the borrower and the value of the equity in the home. Borrowers are required to pay property taxes, insurance and keep their houses maintained. You retain ownership, and live in your home as long as you like. The cash generated by the loan can be used to eliminate house payments, medical payments or any other debt. For most seniors who have lived in their houses for a long time, the equity built up is unused wealth that is not benefiting them. Another big plus is that the income stream coming from a reverse mortgage is typically income tax-free. The thing to keep in mind, though, is that this after all is a loan – and loans have to be repaid. Once you leave your home, the loan comes due and in many cases this leaves less for children to inherit. There are closing costs associated with the loan just like any mortgage loan and the interest rate may be higher as well. A reverse mortgage may or may not affect Medicaid eligibility and other government benefits available to seniors. All potential borrowers are advised to consult with their financial advisors before deciding to pursue a reverse mortgage. A reverse mortgage is not for everyone, but when used wisely by the right borrower it can be an excellent financial tool for seniors with moderate or high equity built up in their homes that are seeking extra cash and increased financial stability in their retirement years. Contact Lineage Lending, get all the facts and find out how much cash you may qualify for. Financial peace of mind could be just a phone call away.